In a statement released on Tuesday, US Food and Drug Administration (FDA) Commissioner Dr. Scott Gottlieb warned consumers about kratom, an herbal supplement that some believe could possibly reduce opioid withdrawal cravings. 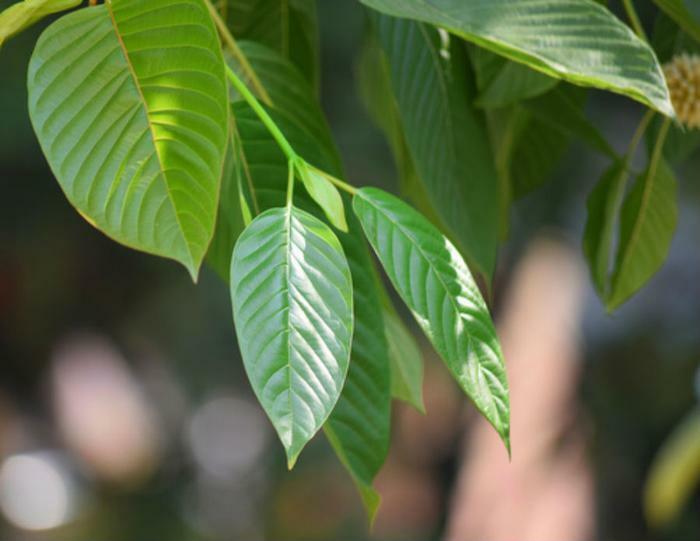 A new analysis by scientists at the FDA shows that compounds in kratom, a Southeast Asian tree leaf, act like prescription-strength opioids. To date, the agency says kratom has been linked to 44 deaths, up from 36 reported in November. "There is no evidence to indicate that kratom is safe or effective for any medical use," Gottlieb said. The scientific data and adverse event reports have “clearly revealed” that compounds in kratom render it more dangerous than “just a plant,” he said. To analyze the chemical structure of kratom’s compounds, FDA scientists used a 3-D computational model called the Public Health Assessment via Structural Evaluation (PHASE) methodology. This technology was used to detect how the brain reacts when it is exposed to kratom. From this analysis, the researchers concluded that all of the substance’s compounds share the most structural similarities with controlled opioid analgesics, such as morphine derivatives. They also found that 22 of the 25 compounds in kratom bind strongly to mu-opioid receptors, comparable to opioid drugs. "The model shows us that kratom compounds are predicted to affect the body just like opioids," Gottlieb said. "Taken in total, the scientific evidence we've evaluated about kratom provides a clear picture of the biologic effect of this substance. Kratom should not be used to treat medical conditions, nor should it be used as an alternative to prescription opioids.”. Kratom is currently legal under federal law, but FDA inspectors have been seizing and destroying shipments at international mail facilities for months. In 2016, the Drug Enforcement Administration (DEA) announced plans to temporarily list kratom as a Schedule I controlled substance, which would put it in the same category as heroin. But backlash from more than 50 members of the House and Senate, as well as a flood of complaints on social media, prompted the DEA to delay its decision. The agency instead called on the FDA to issue a public comment and scientific review of the plant. The FDA has submitted its review to the DEA, which has not yet said whether it will escalate kratom’s listing from “drug of concern” to a Schedule I substance. The American Kratom Association consumer group called the FDA’s statement an "unprecedented abuse of science to create a new computer program that is clearly garbage in, garbage out avoiding the rules of the Controlled Substances Act and making unproven claims that have been proven to be untrue." "Our scientists will review the statement, but there are clear mistakes based on pre-existing confirmation bias on the part of the FDA," the group wrote.